You'd probably rather just forget what happened today at the Big House, and I'm right there with you. 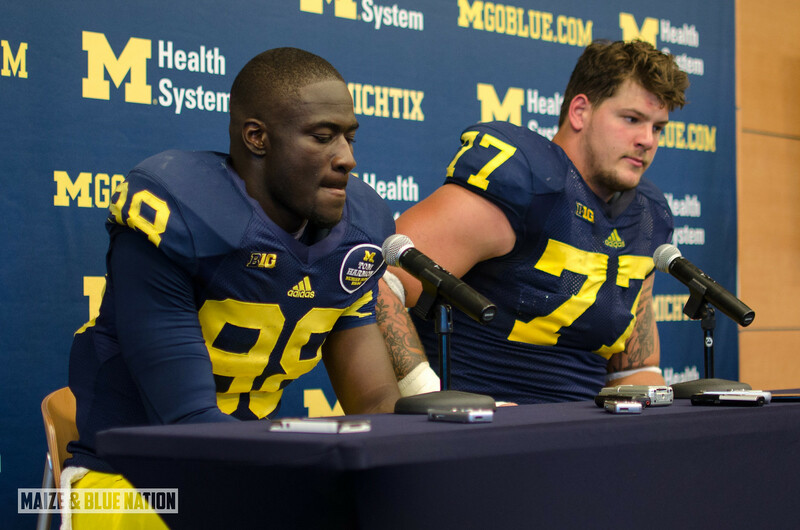 After the game, Lewan was hot in press conference, and rightfully so. There was a lot of blame to go around, and he took the brunt of it himself. Was it ugly? Yes. Was Michigan caught with their pants down? Most definitely. Is Michigan as bad as they played today? No, they just came out way underprepared and didn't have any respect for Akron as an opponent. I'll reserve any real harsh judgement until I see how they look next week at UConn. But a win is a win. And on a day like today, I'll take it. Survive and advance. We'll have a more complete wrap up coming your way shortly. But for now, enjoy some photos from a picturesque Michigan Stadium on, what at least looked like beforehand, as a perfect day for college football.